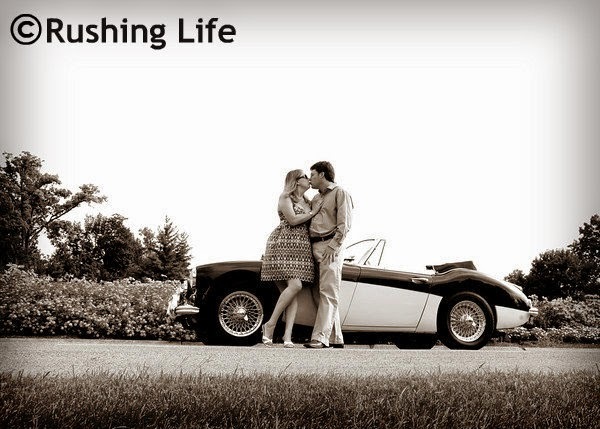 Remember that time I was the most super awesome girlfriend EVER and surprised Puff with an Austin Healey at our engagement photo shoot? I mean, not to KEEP or anything. But as something cool to have in our shoot and for me to gain some brownie points. That was back when I was still trying to impress him. My, how times have changed. To say Puff likes cars is a bit like me saying that I like brownies. And Jason Statham. Or Jason Statham serving me hot brownies in bed. Basically, the understatement of the century. But ever since that photo shoot, I've had a bit of a soft spot for that little British car. Over the past year or so, Puff and I have been taking a lot of stock of where we are in life. What is the next logical step, what do we do with our house, with our family, with our future. 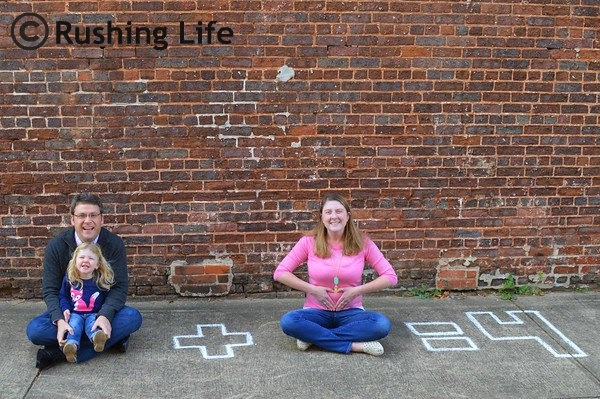 We have been watching our finances and trying to make smart decisions. We have always thought a little bit about expanding the garage, so to speak. (Even though The Bungalow is, sadly, garageless.) Right now, we have three... my car, Puff's car, and our small fun convertible. It seems to suit our life and our needs perfectly, but we always thought maybe something was missing. So we hemmed and hawed about it, did a ton of research, had a lot of in depth discussions. The timing wasn't right, then it was, and then it wasn't again. Did we really *NEED* to add to the chaos we already live in? 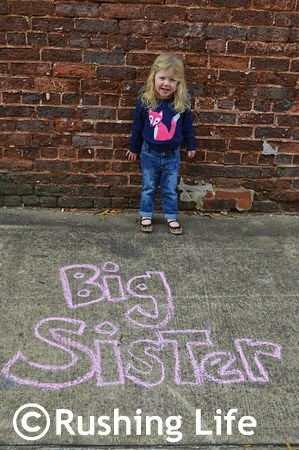 Baby Healey will be joining big sister, Bimmer, in June 2015!!! Lots of excitement (and nerves and morning sickness) happening around here. But lots of updates to come! Stay tuned... and we hope you'll be happy to join us on this new journey!